Maybe it's the midterm slump I'm in that's making me go soft, but British five-piece Clear's new single "Sunlight" really sounds like a welcome ray of sun. It sounds like memories I cannot quite place but still resonate with me; the gentle, uplifting piano melodies transport me to the beaches of my childhood, while the band's fantastic harmonies evoke the sort of weary intimacy you usually expect from your parents. "There is nothing to keep my here," the guys sing, yet somehow listeners will find themselves perfectly content to stay for a little longer. 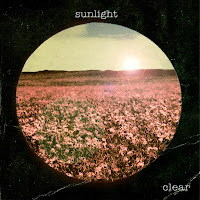 You can stream "Sunlight" below and find more on Clear by visiting its Facebook page.